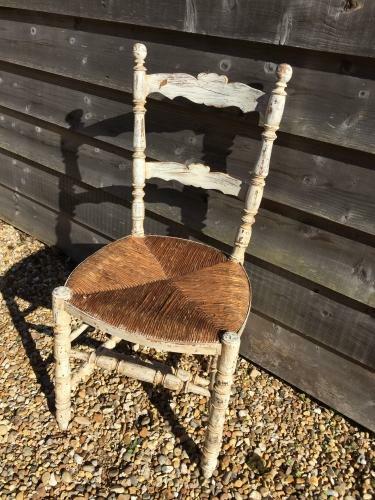 Antique French Painted Chair. Attractive shape. Original rush seat in good condition.